Try your hand at advertising healthy eating habits! 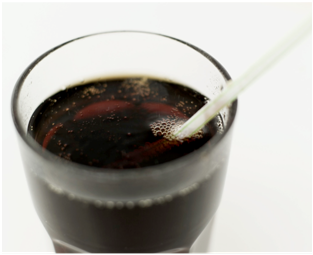 In 2009, New York City launched a public awareness campaign to discourage soda and sugar-sweetened beverage consumption. Some considered the ads overly graphic, and even offensive, because they featured a beverage turning into globs of fat as it is poured into a glass, and showed a man gulping the fat, emerging with fat globs dripping from his face. But others applauded the ad campaign for boldly getting people’s attention turned towards healthy beverages. In a media climate saturated with unhealthy foods and drinks, the ad provided a different perspective that forced people to consider the health effects of their food and beverage choices. Some more humorous ads have been created to encourage healthy snacking such as the “Extreme Baby Carrots” video that you may have seen on this blog earlier this year. The video features baby carrots in a way that may appeal to adventurous, thrill-seeking kids, adolescents and/or young adults. Just don’t try this at home! Are you frustrated with today’s food climate? Consider entering the Food Day poster/video contest! Make a poster or short (30-sec) video that either (1) advertises fruits and vegetables as snacks OR (2) discourages soda and sugar-sweetened beverages. Submit entries by October 10th, 2011 to UNCFoodDay@gmail.com. Winner of the $150 prize will be announced at the Food Fight screening on Food Day, October 24th at 7pm in Hamilton 100.